short story, mechanics checked everything realting to general running sparks, fuel, blah blah.. SDS attached with no issues found... two cans of upper cylinder head cleaner left overnight ... issue is still there..
o2 sensor could be the issue.. pricey diagnosis at 400ish to see if it fixes it.. removed some sensor plugs from the engine at the front left running straight down to two sensors directly under the front of the engine.. now i have the check engine light on and a flashing cruise which wont work...reset ecu and they are still on..
grrrr.. surely someone has resolved this properly?? This seemed to be a technical problem with the 2.0R (DOHC Engine) Impreza and 2.0R (DOHC Engine) Liberty's Performance. 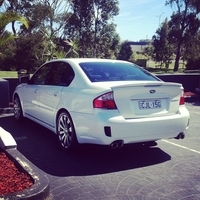 I told a mate of mine that works at Tynan Subaru in Sutherland, he took my car in and plugged the computer up, updated a file and problem fixed. So if you can just bring it into your closest Subaru dealer and tell them about the problem. I'll see if I can find the briefing sheet that he gave me a copy of and post it up. The problem is not really a programming issue to some point, but you can compensate for it in tuning. As the car continue to need servicing, Oil, Spark plugs, throttle and intake cleaning, etc this problem gets works. Using low quality fuel makes it head shown even more. As the injectors gets dirty same thing. The 2R have quiet a bit of blow-by. SO getting the throttle and intake clean is a much. In addition, because of AVCS in that area, when IACV becomes a little clogged with dirty mix with oil, it runs lean when the car tries to compensate. The AVCS which gives it power, hampens it. How ironic. I know all of this because I have a 2R and I low it. THere was a 2.5R, but Subaru stop producing them. Never know why. What I will tell you that the performance of the 2R is no different to the WRX and STI. Recently ive noticed that my car (MY07 2.0R) has flat spots in the acceleration only at certain times. During constant acceleration, at 2000 rpm or 2500 rpm it feels like ive let off the accelerator even though its remained in the same position, or even been depressed more. Then when the rpm reaches 3000 or 3500, the power suddently comes back on, and the car accelerates like i expect it to. I think its a misfiring issue, but have no idea what the cause is. The car had its service completed at 25,000kms (currently 33,000kms) and it was only purchased on the 29th of May from Docklands. Its currently doing my head in as its so random. I have an 06 2.0R same shape as yours. I had the exact same problem. on full throttle it was lacking power as u say until the magic 3000rpm. Seemed the only way to drive it was like I stole it lol. Anyways My needle would get to 2000-2500 rpm needle would kinda die there and just wobble until it got out then boom power. Took me a good 4months to find it. It was a crack in my extractor. Welded the crack back up and its been fine. My car has done 122k now and still drives like a dream since that hiccup at 80k. Id be taking it to an exhaust shop and just get them to go over your whole exhaust. If your extractor is colourful (when you pull the shields off) and not one solid colour, high chance u have a crack on the bend which was where mine was. Ah sweet. Ill get it checked out but I havn't had this problem for a while now. mihai wrote: Ah sweet. Ill get it checked out but I havn't had this problem for a while now. Goodluck fingers crossed it was just a bad batch of fuel! Hi guys just joined & this is my 1st post. I know this thread is old but seeing as the last post was not to long back I thought I would add my 2cents worth. I had the exact same prob with my 2006 2.0r liberty & searched for ages to find a solution & finally stumbled upon the answer ( why Subaru don't tell people is beyond me ) I was told by someone on a Subaru forum ( can't remember what one ) to reset the computer by myself at home & it worked like a charm & hasn't played up in nearly 12 months - this even works on other brand cars. Hi, have you fixed this yet ? My mechanic told me that it is a issue with the factory ECU/software for the liberty 2.0r's. I have had this problem for about 2-3 months and i keep applying the software update and it fixes it for 2 days then goes back to hitting flat spots and no power, i dont no what to do anymore. 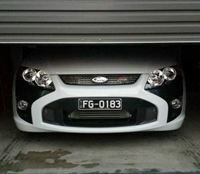 M4freewaytroll wrote: Hi guys just joined & this is my 1st post. I know this thread is old but seeing as the last post was not to long back I thought I would add my 2cents worth. I had the exact same prob with my 2006 2.0r liberty & searched for ages to find a solution & finally stumbled upon the answer ( why Subaru don't tell people is beyond me ) I was told by someone on a Subaru forum ( can't remember what one ) to reset the computer by myself at home & it worked like a charm & hasn't played up in nearly 12 months - this even works on other brand cars. Whilst the negative cable is disconnected and foot is on the brake peddle, do you have the key in the ignition or not? Ok thanks, Is your lib running fine still? I had the same problem a while back, happened quite often. I did the battery reset most times and the problem did seem to disappear for a while but would eventually return. I got the software update from Subaru and it pretty much fixed permanently, although I get the occasional struggle and similar symptoms after a very long highway drive, but I think that's related to something different and eventually goes away after a little local driving. Any luck with yours? Mine is running better after resetting the battery myself but the laggyness in acceleration is still there. I have done the software update about 5 times before and it only fixes it for a few days then goes back to the same thing. When i save a bit more money im going to get it tuned by KiDo so hopefully that fixes it as the factory ECU for the 2.0r is not very good.